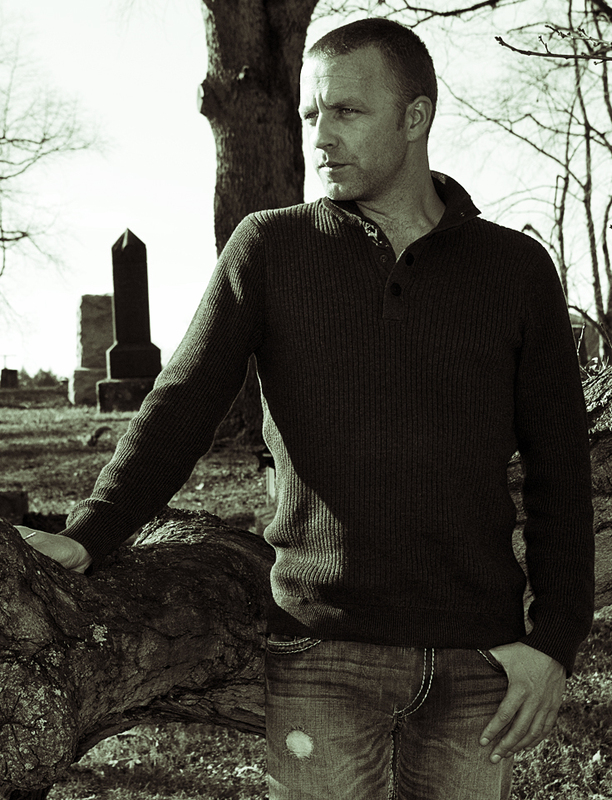 A Bram Stoker Award winning author, Kealan Patrick Burke is one of horror’s most talented writers. His latest novella, Sour Candy, is courageous and stunning in its originality. The author of The Timmy Quinn series, Kin, and over a hundred short stories, Kealan Patrick Burke sat down to talk with me about the art of horror, Sour Candy, and fronting a grunge rock band. Q – One of the joys of writing is producing a truly unique and engaging story idea. 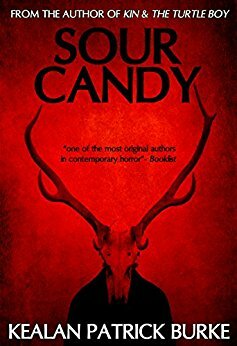 Your novella, Sour Candy, contains one of the most unusual and distinctive horror plots I’ve encountered in several years. Tell us a little about the story line of Sour Candy and how you discovered it. I have found that the most mundane things often lead to the most interesting stories. In the case of Sour Candy, I was shopping in Walmart one morning when a kid started shrieking just down the aisle from me. Now, kids screaming in grocery stores is hardly an aberration, but this was a real high pitched shriek, and I couldn’t help but look. Blame it on my latent misophonia and adverse reactions to certain trigger sounds. Everyone else was looking too, mostly in irritation, and I immediately felt guilty. The kid was out of control and his poor mother looked exhausted, at her wit’s end, and here were a bunch of strangers glaring at her because her child was upset. He was demanding a bag of candy that, for whatever reason, she was unwilling to give him. Afterward, I wondered what would happen if I got home and found that same child sitting there waiting for me and claiming he had always been there, and that I was his father. Such a thing would require a dramatic alteration of my circumstances for it to make any kind of sense: the removal of loved ones, the rewriting of memory, etc. The idea stayed with me, but it took a year or so before it coalesced into the novella Sour Candy ultimately became. The more concise answer is that the novella is about being forced into parenthood before you’re ready for it. 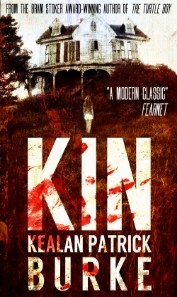 Q – It’s impossible to label Kin as anything but pure, dark horror. However, the importance of family and friendship in your writing is clear in many of your stories (in particular the Timmy Quinn series). In Sour Candy, the concept of Phil potentially being Adam’s true father is a central plot point. How crucial was it to you to make the reader wonder about Adam’s and Phil’s relationship? Had you determined their true relationship before you completed the first draft? Part of the fun of writing Sour Candy was keeping me and the reader guessing. Like many of the stories I write, I only knew the plot to a certain point, after which, it revealed itself to me as it went along. It was important, however, that Phil’s aversion to his abruptly altered life be convincing, that it mirror how any rational person would react in a similar situation. This reaction is tempered by the possibility that Phil is the one who has changed, that maybe the boy is his son and he had a breakdown and simply imagined the opposing reality. This uncertainty was a huge part of the appeal for me. Is the boy some kind of supernatural invasive force, or has Phil simply lost his mind and become the antagonist in the eyes of his normal loving son? Even better, Phil is kept off guard and off kilter by the apparent innocence of the child, which flies in the face of his theory that Adam is an invader. There are, after all, dire consequences no matter which reality turns out to be the real one. “Thou art fucked from the outset,” as Shakespeare once said. Q – Brain trauma-induced memory loss is a very real issue. My son suffered a brain injury and concussion playing lacrosse last year and lost short term memory. Have you, or someone close to you, suffered a similar injury which inspired your depiction of Phil after the car crash? I’m sorry to hear about your son. That’s awful, and I hope he’s doing okay now. The stories I write require me to imagine living in the wake of such traumas, but thankfully, no, I’ve never had to deal with the reality of one. Memory loss and altered perceptions of reality via Alzheimer’s, however, is something that runs in my family and scares the hell out of me. My maternal grandmother recently passed away after battling with this for quite some time, and my paternal grandmother is in the throes of it now, too. I live in fear of losing my sense of self, of forgetting who I was, and who I am now. It informs a great deal of my fiction and Sour Candy is no different. Genre writers talk about the fear of the unknown, but for me, becoming the unknown to you and those closest to you is the very definition of nightmare. Q – Thank you, Kealan. My son had a full recovery, though he shouldn’t play contact sports for the remainder of his life. We owe a lot to the team of doctors in Syracuse who looked after him. I, too, have watched Alzheimer’s attack elderly family members. It is absolutely terrifying. A great way to create tension for a reader and make her sympathize with the protagonist is to put the character in physical peril, whether it be injury or sickness. In the case of Phil Pendleton, his physical deterioration is so graphic that I almost expected a body part to fall off at any given moment. Was Phil’s deterioration a conscious decision to build reader anxiety, or just the natural progression of dealing with your everyday demonic presence? Phil’s deterioration is intentionally ambiguous. If he’s gone mad, then naturally there will be a physical cost, but if he’s sane and Adam is the enemy, then it’s likely that the boy is parasitically draining his adopted father, preparing him for what’s to come. Either way, I figure the horror of the situation needed to be compounded, not only by Phil’s mental state, but his physical one, too. Plus, all he eats is sour candy. That’s gonna take its toll. Q – Was there any point when you considered developing Sour Candy into a full length Kealan Patrick Burke novel? Do you feel a longer story would lessen Sour Candy‘s impact? I actually did consider expanding it, not just to eke out a novel from a groovy idea, but because right after it was published, I started getting ideas for scenes that I wish I had included, most notably a prologue involving Adam’s birth mother and an expansion of the ending. It still bugs me that these occurred to me right after the damn thing was already out there. I’ve expanded, just for my own satisfaction, the mythology behind The Elders, and there are a lot of things going on with the novella right now that might result in me one day coming back to it. For now, though, I think it’s effective enough at the current length. Q – Most non-romance writers not named Howey will tell you novellas are a tough sell, though I love them as a reader. You sparked an entire novel series with one award-winning novella, The Turtle Boy, and Sour Candy tore up the horror charts for several months. Besides word count, how different are the development processes for novels and novellas. Do you prefer one form to the other? Short story, novella, novel, I love them all, but I think it’s easier for me to maintain focus and pace and potency with a novella, whereas with novels I sometimes end up meandering. I hate intense plotting, hate ruining the discovery process for myself, so I generally try to avoid all but the most basic outline when it comes to novels. Thus, they’re not always as successful as I’d like them to be. I have never needed to plot a novella, however. They just flow and coalesce quite organically and effortlessly for me, so I tend to gravitate to them more. That said, I don’t always know whether what I’m writing is going to be a short, a novella, or a novel. Often, these things decide themselves and I’m just tagging along for the ride. But I would argue that the novella is the perfect length for a horror story. Q – Tell me about being a vocalist in a grunge rock band. Were you more Chris Cornell or Mark Lanegan? Do you still perform? I was somewhere in between Mark Lanegan and Cornell, but nowhere near as good as either one of those giants. I could imitate Lanegan, but never had Cornell’s range (like most humans), so I ended up being more of a Cobain/Weiland mutt. I joined a band in high school, a couple of bands after that, and ended up in one called Wreck, which was the most successful and the most fun. I wrote all the music and lyrics (mostly about my doomed relationships, or unrequited love—how typical). Despite some promising leads, it never went where we hoped it would, and the band broke up. There’s not a single day goes by in which I don’t miss the hell out of it though. I loved being in a band. Loved writing music, loved performing. These days my vocal skills (or lack of) only reveal themselves in dimly lit karaoke dive bars to the poor unsuspecting locals. Q – What hard rock bands does Kealan Patrick Burke listen to most, and does their music inspire any of his writings? I still listen to all the old favorites: Nirvana, Alice in Chains, Soundgarden, Faith No More, Seether, Filter, Stone Temple Pilots, Screaming Trees, et al, mixed with a bit of AC/DC and Whitesnake. I also like a bit of classical music, the blues, and soul, here and there. I’ve even been known to give certain tracks from Adele and Rihanna a spin. I find my taste broadening as I get older, and good music is good music, no matter the genre. Odd as it may sound though, I don’t believe my writing has ever been influenced by music, not to any conscious degree at least. I don’t listen to it while writing. I can’t. I need quiet. I listen to music for the same reasons I read a book or watch a movie: escapism. But while movies and other books will always influence me, I don’t believe music ever has. Q – I hear you. As I get older, I find myself listening to more Jack Johnson and less Pantera, though I doubt I will ever lose my punk, new wave, and grunge roots. And most of my writing is done with a box fan set on high providing the only sound in the room. You are one of the most respected names in horror, you won a Bram Stoker Award (The Turtle Boy), and your books have been optioned for film. What is Kealan Patrick Burke working on now, and when can we expect a new novel? Right now, I’m finishing up a few stories due to magazines and anthologies, after which I have a new Lovecraftian novella to finish that I’m very excited about. After that, I get back to my novel, of which I can say very little for now, only that it won’t be connected to anything I’ve previously written (i.e. not a sequel). I hope to have it done at the end of the summer. Thank you, Kealan Patrick Burke, for joining me today. Good luck with all your future endeavors. I look forward to your next novella. Horror fans – if you have haven’t read Kealan Patrick Burke’s Sour Candy yet, check out this brilliant story immediately. Want more horror author interviews? Check out my recent discussion with Chad Lutzke. Dan Padavona is my favorite horror author. I first read crawl space and thought it was great. I then read Storberry and was blown away on how great it was. I just finished The Face of Midnight and think it was fantastic, some great intense scary parts. Thank you, Ron. What a nice thing to say!